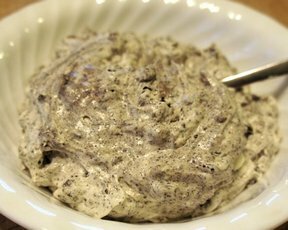 A sweet mixture of pudding, Cool Whip, and crushed Oreo cookies. This can be served as a yummy sweet salad or a light and fluffy dessert. 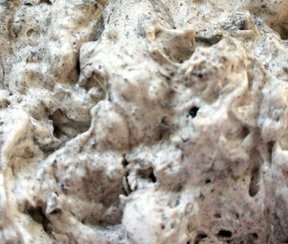 Crush the Oreos cookies, leaving them fairly chunky. If they are crushed too fine the salad will become mushy. Set cookies aside. Mix the pudding with the milk. Whisk until mixture thickens. 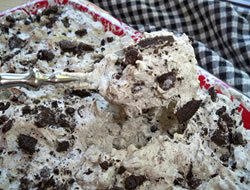 Fold in the Cool Whip and then add the crushed Oreos. Stir just enough to distribute cookies evenly. 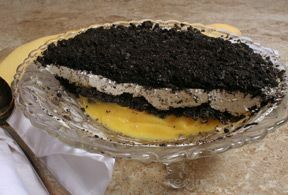 Crush a couple of more Oreo cookies and sprinkle them over the top. "I make this regularly. I usually add 2 cups of miniature marshmallows. This past summer I kept a bowlful in the fridge continually." "Use white chocolate pudding mix and add a small tub of Cool Whip to this recipe. You'll love it!!!" "The kids loved this and the adults seemed to like it as much as the kids. I thought it was pretty yummy also. I guess I will be making this again."